Adding to what is the highest concentration of steakhouses in Michigan, J. Alexander’s Holdings Inc. today announced it will open a new Stoney River Steakhouse and Grill on Oct. 29 at 155 West Big Beaver Road (near Livernois) in the Columbia Center campus in Troy. The new restaurant, the first in Michigan, will offer seating for more than 200 people and is approximately 8,000 square feet in size, says Lonnie J. Stout II, president and CEO of J. Alexander’s Holdings, which operates J. Alexander’s eateries in Livonia, West Bloomfield Township, and at the Somerset Collection in Troy. 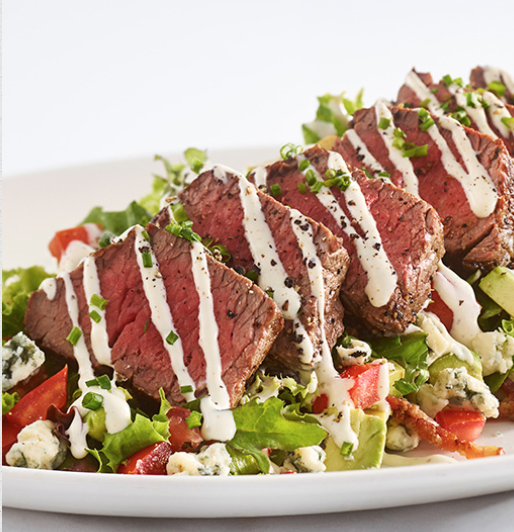 The menu will feature a wide selection of high quality, in-house offerings with an emphasis on hand-cut steaks, a coffee-cured filet mignon, a New York Strip, a Ribeye, Prime Rib, wild mushroom meatloaf, and more. Steaks range in price from $29 for a 12-ounce regular cut prime rib to $45 for a bone-in “Cowboy Cut” ribeye steak. Seafood selections include “Hong Kong Style” sea bass, grilled Norwegian salmon, jumbo fried shrimp, Paneed pecan trout, and Ahi Tuna. Side dishes include asparagus, broccoli, French fries, mac and cheese, roasted Brussel sprouts, one-pound baked potato, Burgundy button mushrooms, caramelized onion mashed potatoes, and more. There’s also French onion soup, New England lobster bisque, multiple salads, and starters that included deviled eggs, crab cake, steak rolls, and whiskey shrimp on country toast. The restaurant also will have a full-service bar with unique cocktails and a wide selection of award-winning wines by the glass or bottle. Clayton Schader has been named general manager of the new Stoney River, which will be open from 11 a.m. until 10 p.m. daily Monday through Thursday, and from 11 a.m. until 11 p.m. Friday and Saturday. The restaurant will open for brunch each Sunday at 10 a.m. and will remain open until 9 p.m.
Stout says Stoney River will use European stemware for all wine service, high quality plate ware, offer seating packages, furniture grade tabletops, original artwork, and a high level of detail finishes in all areas of the restaurant. J. Alexander’s Holdings owns 45 restaurants in 16 states, and is headquartered in Nashville. Other steakhouses along Big Beaver Road in Troy include The Capital Grille, Morton’s The Steakhouse, Ruth’s Chris Steak House, Eddie V’s, Ocean Prime, Sakura Japanese Steakhouse and Sushi Restaurant, Fogo de Chao Brazilian Steakhouse, and McCormick and Schmick’s Seafood and Steaks.